Awesome cuteness is what happens! 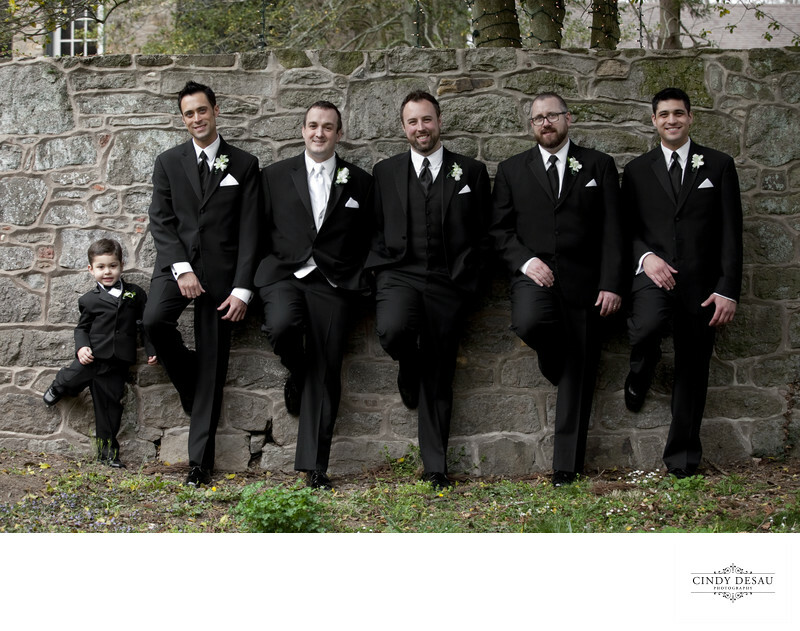 I set these groomsmen up against the Holly Hedge barn wall for a pre-ceremony photograph with the groom. This little ring bearer wanted to do just what they decided to do and copied them. I thought this was such a cute moment, and to me was one of the best photographs of the bridal party.